Napa Valley Holistic Veterinary Services-It's National Holistic Pet Day! It's National Holistic Pet Day! Join us in celebrating National Holistic Pet Day on August 30, 2018! Holistic veterinary medicine is a growing field which aims to address the “whole” animal - body, mind and spirit. It focuses on health, rather than disease. What can you do at home to keep your pet healthy and happy? 3. 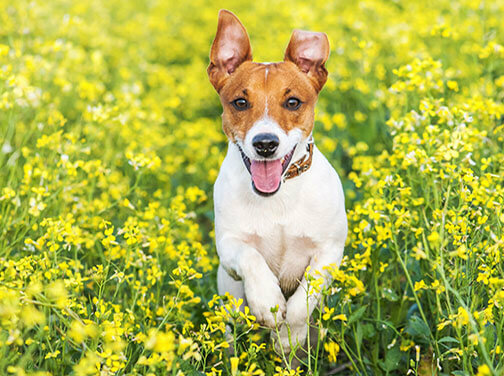 Take your dogs for regular walks and make sure to take time to play! Cats love to play too! 4. Offer plenty of fresh water daily, filtered if you can and Dr. Kim prefers stainless steel bowls over plastic. 5. Stimulate their minds! Use puzzle toys, teach new tricks and play new games. If you are really motivated you could get involved with agility. Even meeting new people is mentally stimulating. This will help keep your pet's mind sharp as they age. As a holistic veterinarian my goal is to help identify imbalances in the body before they become diseases. This can be achieved through regular physical examination, acupuncture, herbal medicine, nutritional therapy, chiropractic and essential oil therapy, just to list a few holistic modalities. I also like to address the pet’s environment by decreasing stress and making sure pets are getting enough exercise and mental stimulation. This is so important for their overall health and well being! Acupuncture is becoming much more widely recognized as a safe, effective therapy for many disease in humans and pets alike. I most commonly use acupuncture to treat pain from arthritis, neck and back issues. But I also have success in using it to manage gastrointestinal problems like diarrhea and vomiting, skin allergies, asthma/bronchitis, seizures and immune-mediated disease. There are many other conditions that it is useful for as well! Acupuncture is usually incorporated with herbal medicine to see the best results. Herbal medicine is plant based medicine that is used either in combination or in place of western medications to treat disease. It can be especially helpful when animals are experiencing side-effects from drugs, if they have underlying liver or kidney disease and certain medications can’t be administered, or if they aren’t responding like they should to traditional medication options. Another great thing is that herbs are very safe to use in animals, if you use them correctly under the advise of your holistic vet. For my own health I always try herbs before using medications and I treat my pets the same way! Diet is extremely important to a pet’s health. Recent studies show that whole, fresh food fed to pets can decrease inflammatory markers and increase healthy immune function. I think that food is one of the best medicines that we can give our pets. After all, you are what you eat! There is no one diet that fits all patients, and your holistic veterinarian will help you decide the best option for your pet. This is just a taste of holistic medicine! It is a newly emerging field and I am so excited to be a part of it. I really believe the animals I treat with holistic medicine are the happiest healthiest pets!! As always please let me know if you have any questions! You can email me at kschmidt@napaholisticvet.com.